Home / Published Works / Articles / Big issues; Great thinkers. Why non-violence is essential. 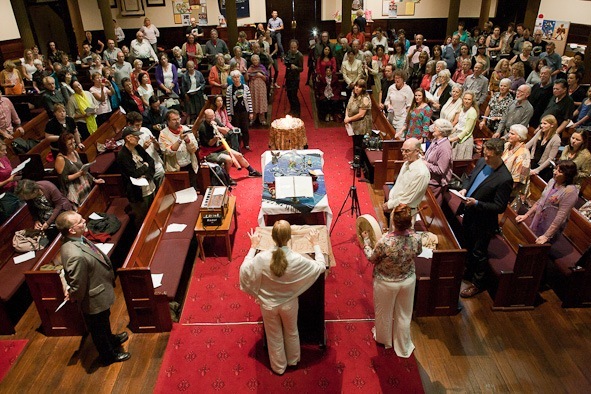 Stephanie Dowrick is a life-long social activist and peace-maker. She reflects here on the wisdom of non-violence and the urgent necessity of our understanding this – and bringing it to life. 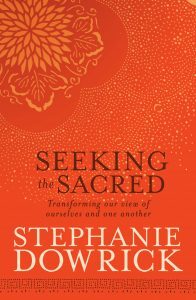 Her many books include Seeking the Sacred. It is utterly heartbreaking to be sitting in my office in Sydney, on this entirely pleasant, early-summer day, thinking again about those extreme acts of violence that we lump together as “war”. Or perhaps what’s worst of all is facing the harsh reality that “war” and the agonies of death, destruction, loss of life, country and home it causes, as well as the immeasurable loss of safety and happiness, is still – in 21st-century life – considered to be “acceptable”, “inevitable”, “defensible” and “justifiable”. Even, God forbid, “noble”. Of course we prefer that it takes place far away and that our excitement and engagement with it is carefully mediated through our television screens so that moments later our thoughts can turn elsewhere. But for increasing numbers in our world there is no escape. Even “escaping”, fleeing, brings no respite. No asylum. No safety and no peace. Far greater thinkers than I have written extensively about the extreme futility of war or any form of sanctioned violence as a “solution” to human problems. 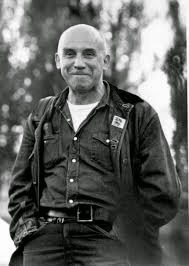 And I include details below of recently posted writings about the contributions of Thomas Merton and Thich Nhat Hanh, to name just two. I also include my article about and argument with James Hillman’s very powerful A Terrible Love of War (which may be heart-breakingly true). 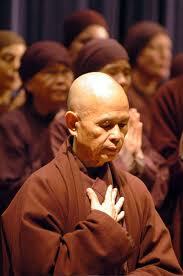 My own most passionate contribution was probably Seeking the Sacred. And I continue to believe that until enough people within our vast global family grasp the most basic insights of the Golden Rule of mutual care and responsibility – demonstrating that our happiness, wellbeing and moral strength depend entirely on how we treat “the least among us” – that “war” will continue to be justified; that “terror” will only increase; that increasing trillions of dollars will go on being squandered on arms and eager war-preparedness – and that increasing millions of children, women and men will have their precious lives devastated. Peace, peace-making and non-violence have to become our primary concern, more urgent even than our care for the planet and its climate crisis because we cannot effectively care for the earth while waging wars, dropping bombs, destroying homes, fields, lives, rendering millions of people homeless and squandering our human and financial resources. 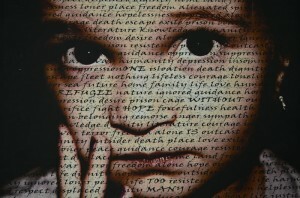 In our hearts, minds, homes, cities, nations we have to discover non-violence and make it relevant, not in far-flung places only (those places that are considered to be most war-addicted), but in our own safe countries, also, where war-addictions simply take a different but not less deadly form. Considering our own choices and behaviour is critical here. There is an exponential effect when we pay closer attention to our personal ethics, choices, behaviour: when we learn to live with greater respect and accommodation with our own selves and those we are lucky enough to love or work alongside, or live near…. Peace begins at home – and cannot end there. 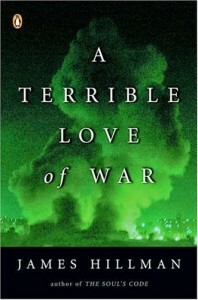 To discover far more about whether you believe, in your heart, that “war is inevitable”, I would urge you to read James Hillman’s A Terrible Love of War. You might begin with my discussion of it in this article. It was first published in July at the Universal Heart Book Club and the situation in our world has only deteriorated since then. (I also discuss the book and its ideas at greater length in Seeking the Sacred.) Please, please take the time to read this and to think your way deeper into this most urgent issue. I don’t agree with Hillman on many points; that is irrelevant. He is less hopeful than I am…but I fully realise that after a lifetime of peace activism I am struggling to remain hopeful about humanity’s collective wisdom, and know the I need I have to be inspired and informed. Finally, a tiny glimpse of the profound thinking of Thich Nhat Hanh, one of the greatest peace-makers of our time who, perhaps more than any other activist, understands that we create peace outwardly only to the extent that we can create it inwardly. 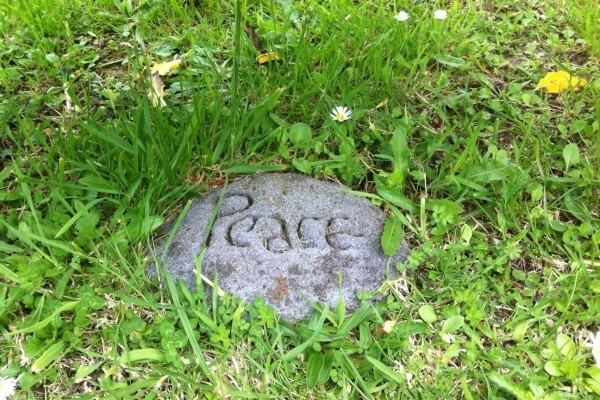 Here is the LINK to that article – which will also introduce you to other writing from this profound teacher, including one of my personal favourites: Peace is Every Step.